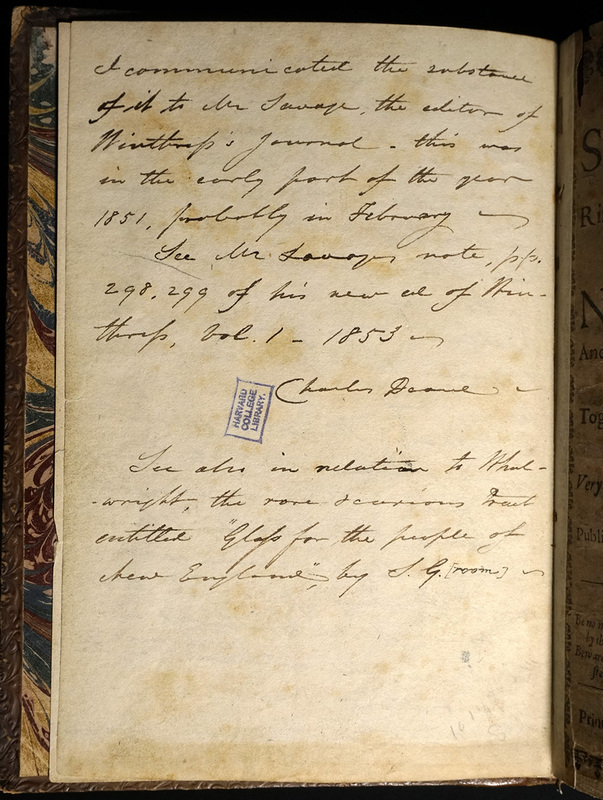 Owned by Charles Deane, LL.D 1886, a Boston businessman and amateur scholar of early American history, this unique copy contains his analysis of the printed text and letters he exchanged with another Boston antiquarian, James Savage. 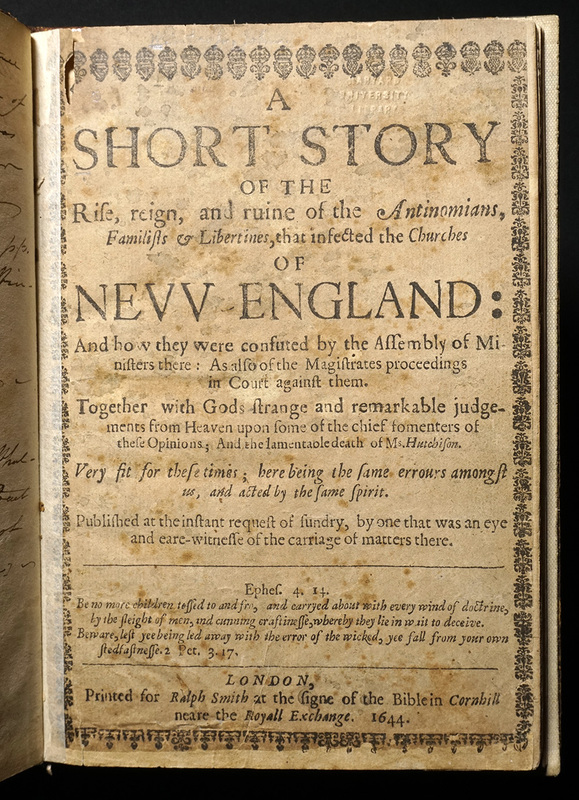 The two disagreed about John Winthrop’s role in the making of A Short Story, which contains five documents arising out of the “Antinomian controversy” of 1636–37 in Massachusetts. 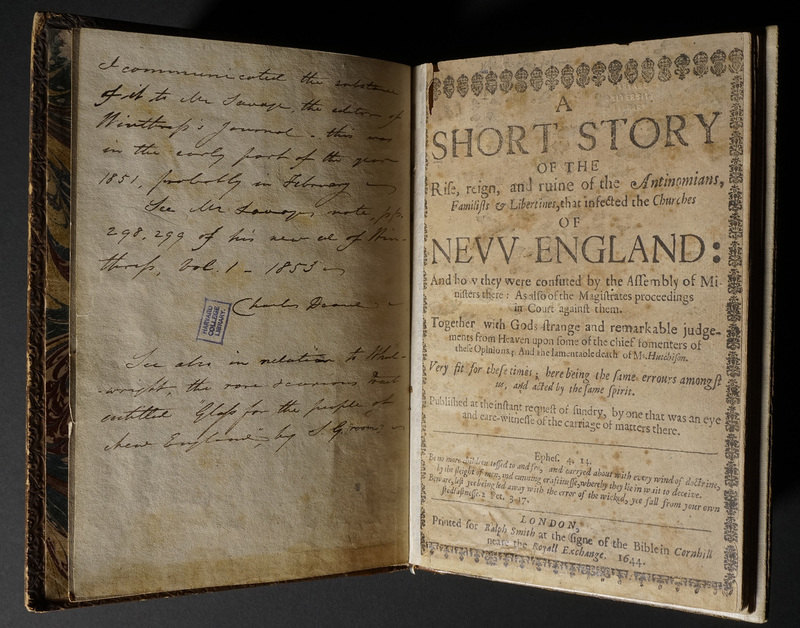 How these manuscripts reached the London bookseller Ralph Smith is unknown, but Smith was allied with English Presbyterians who delighted in publicizing the controversy because it discredited “Congregationalism” and especially the Massachusetts minister John Cotton. The afterlife of the controversy extends into our own times, with Anne Hutchinson replacing Cotton as of most interest. 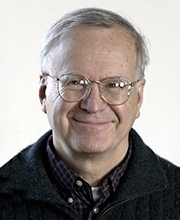 Her “Examination” by the magistrates and ministers in Massachusetts is one of the five documents. AC6.W7375.644aa, Purchased with the Waterston Fund, 1898.